Apartment NIPPETELLA: This apartment is found by going up to the second floor of the big house. It has its own patio in complete privacy in the woods which is solely reserved for this apartment . The double bedroom is decorated in a bordeaux colour, it has furnishings from the late 1800’s, and to the left of the fireplace is the en-suite bathroom. The bathroom itself is within what are the remains of the X11 century military tower, which was used as a lookout point and was connected across the Valley to the Ottoman tower in the village of Subbiano (on the other side of the river Arno) they worked together as look out points to safe keep and control the valley. 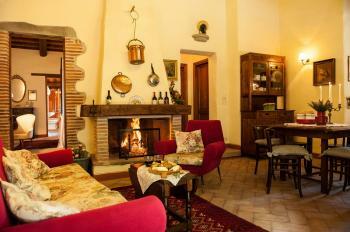 is a biological farm and could be your country house in Tuscany too. 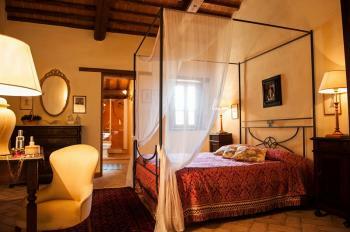 It is Located in Capolona, 15 km far from the Arezzo historical center. The beautiful country side, atmosphere and hospitality are our strength. 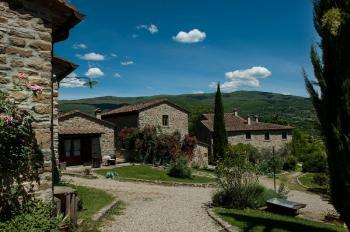 IL POZZO is a typical... Tuscan hamlet, consists of 4 houses in stone, restored with love by me and my family. We have 9 apartments, different one from the other, were you can find an antique atmosphere combined with all the modern comforts. The apartments can accommodate from 2 to 6 guests, depending on the typology. prepared only with Tuscan and mostly biologic ingredients and products. 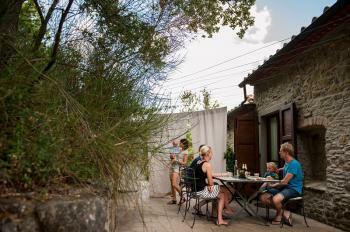 -On request we organize cooking classes, Italian lessons, wine tasting, sport and many other activities. 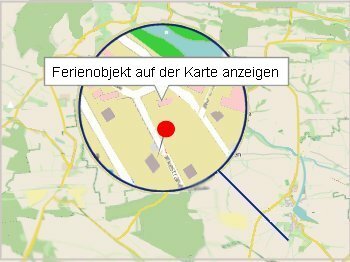 Vermieterin ist eingetragen seit 27.04.2015.